American Idol Finalists Party..The Grove, Los Angeles, CA March 7, 2013 (Photo by Axelle Woussen).Pictured: Keith Urban. Keith Urban looked rocker-chic in a screen print t-shirt. 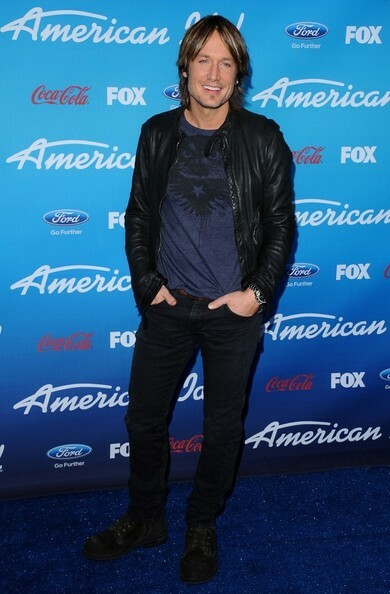 Keith Urban's leather jacket completed his rocker-look at the 'American Idol' Finalists party.